Enjoy the perks of becoming a Simon Corporate Gift Card customer. At Simon, we are committed to protecting your privacy and ensuring that your personal information is handled in a safe and responsible manner. Password length must be between 8 and 20 characters, and contain no spaces. What does Simon use this for? Your Tax ID is needed only for enhanced security and fraud protection. SUFFIX Esq. Jr. MD. Sr. Please provide us the primary shipping address. Giftcards can be shipped to individual or multiple addresses in the same order, after the account has been approved. -- Esq. Jr. MD. Sr. Note: The last 4 digits of your shipping phone number will be the activation code if you are ordering Simon Retailer Gift Cards. Please keep this for your records. I WANT TO RECEIVE PROMOTIONS AND OFFERS FROM SIMON AND APPROVED THIRD PARTIES AND AGREE TO RECEIVE ELECTRONIC MESSAGES FROM SIMON PROPERTY GROUP ABOUT SIMON SOLD GIFT CARDS. YOU MAY WITHDRAW YOUR CONSENT OR CONTACT US ANYTIME. *I UNDERSTAND I WILL NEED TO ACCEPT THE TERMS & CONDITIONS FOR EACH ORDER. 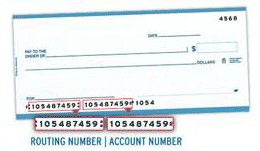 Important information for opening an account: To help the federal government fight the funding of terrorism and money laundering activities, the USA PATRIOT Act requires all financial institutions and their third parties to obtain, verify, and record information that identifies each person or company who opens an account. What this means for you: When you open an account, we will ask for your business name, address, Federal Tax ID, and other information that will allow us to identify you. In some cases, we may also ask to see identifying business documents. *I understand that a processing fee is incurred on each Simon corporate sales order.